For recreational boaters who plan to travel internationally this summer, a breakdown of when to report to CBP and how to navigate reporting arrival via phone application. STATEWIDE—Port of Los Angeles, known as “America’s premier port,” is one of the busiest in the nation. The Los Angeles Board of Port Commissioners, with the record-breaking number of cargo they moved in the past years, fittingly approved an amendment to Agreement No. 09-2153 with United States Customs and Border Protection (CBP). The amendment, approved by commissioners on March 7, would allow Los Angeles to grant reimbursement for CBP projects requiring layered security measures. Even for one of the biggest container shipping ports in the U.S., dealing with CBP can be costly and time-consuming – and for good reason since CBP’s job is to secure our borders and increase safety at home. Recreational boaters may not be slugging millions of dollars worth of cargo between nations (at least we hope not), but there are undoubtedly a lot of boat owners in Southern California who wish to use their boats to travel to other places. The Log would like to walk boaters through some of the steps to cooperate with CBP and take the work out of leaving your slip for far-away lands. Here’s a few tips and information to consider for your next adventure to ensure smooth sailing – on the waters and with border patrol. The Log’s resident boater and columnist of Dock Lines, Capt. Nicole Sours Larson, penned an article for our Mexico edition last year, with a few helpful tips for easing a vessel’s re-entry into the U.S. Larson details in her article about her experience during her first job, working with CBP at Washington Dulles International Airport in Washington, D.C. While seasoned boaters will likely be well versed in reporting their leave, it never hurts to have a refresher and some less experienced boaters might not be making the most of their vessel due to lack of self-assurance regarding reporting to customs. Any recreational boating navigating where the vessel has not docked or disembarked in another country can be filed under not having left the country. However, for trips where the boat either leaves from foreign docks or you have stopped to dock in a foreign country along the way – clearance to gain entry back into the country will be required (barring special expedited programs). Basically, if the vessel has docked in or is departing from another country’s shores, it will require reporting to CBP. 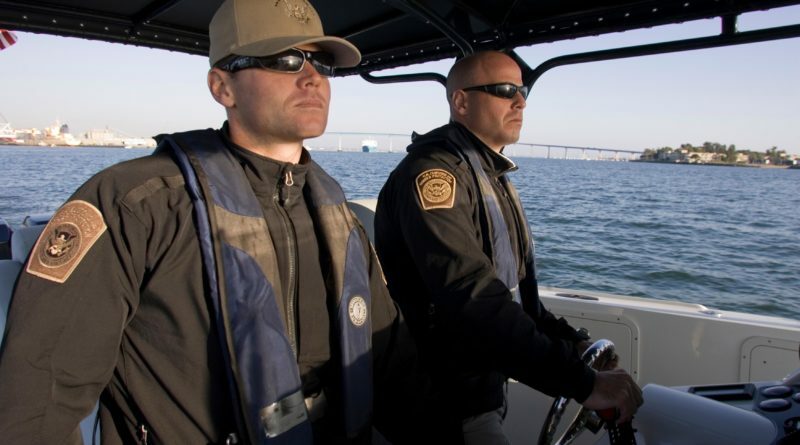 During the busy summer season, CBP staffs locations for check-in for recreational boaters. Boaters who meet the requirements stated that qualify as leaving the country will be subject to report their arrival as well as have their vessel inspected. In order to comply with CBP, the master of the boat should call in telephonically. CBP will then direct the boater to the nearest Port of Entry, which will satisfy the face-to-face Customs check-in. Another option will be that CBP will direct the boater to the aforementioned location for vessel inspection and complete passengers’ requirements to report back into the country. Also, be sure to check about the requirements prior to leaving a country as well. Foreign ports will also have their procedures in place to satisfy customs departures. Some exceptions to the rule for the average recreational boater are through joint U.S. and Canada programs such as NEXUS and Canadian Border Boat Landing Permit (I-68). Small Vessel Reporting System (SVRS) is no longer in service. In the age of apps and the internet, CBP has created a reporting app to be installed on a mobile device called ROAM. ROAM is likely the easiest way for boaters to report back into the country. This reporter gave it a try and it turned out to be a very enjoyable process even in the skepticism that ensued before downloading it. After downloading the app to a mobile device, there is a disclaimer that states, “This is a pilot version only for use in limited areas. Contact your local Port of Entry for guidance.” Given that a vessel owner’s local Port of Entry accepts this method and you have been given clearance to use it, it appears to be fairly easy to access and would likely save a lot of time traveling to an entry point/waiting in line with other boaters. Create a login, complete with contact information and your location. Before thinking the system does not seem safe, it appears very secure. Not only must a password be considered “strong,” including at least 12 characters and a mixture of uppercase and lowercase letters, numbers and symbols, there is also a specific code issued to each user. The app advises writing down the code and keeping it in a safe place – don’t lose it! Also, each time you log into the app, you are required to submit another code delivered via mobile phone number, email or through another source. Additional travelers can be added to the system as well as the mode of traveling. At this point, when using the app individuals can report their arrival. Upon further education, the Verified Traveler program allows eligible boaters to avoid the video chatting process with the CBP Officer. There is a tab labeled “Enrollment” in the app that easily allows for enrollment. All U.S. Citizens, U.S. nationals and lawful permanent residents can apply for this status. The app is fairly easy to use and navigate, and certainly for boaters who are dying to expedite the Customs process it’s a must-have on any mobile device. From that point, make sure to have a passport, be careful about bringing in agriculture that doesn’t belong in the country and prepare to have the most fun ever on your next international boating excursion. Visit cbp.gov for more information and other queries about international travel for boaters.